GENUINE VW GOLF JETTA SCIROCCO EOS TIGUAN 2006-2012. 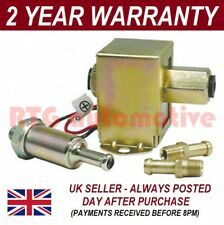 1.4 TSI PETROL CAX CAVD CAV BWK ENGINE HIGH PRESSURE FUEL PUMP. GLASS AND BODY PANELS. YOUR VEHICLE BYMATCHING PART NUMBERS ON YOUR ITEM WITH THE. PART NUMBERS: 03C 127 026 D.
VW Tiguan 2.0 Tdi Diesel Fuel Pump, fits vehicles 2007 to 2013 including 4 motion, this is the in tank electric fuel pump that is located inside the fuel tank, you will find it attached to the fuel sender unit, simply replace the pump to the unit and refit the complete assembly. 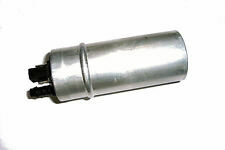 Part Number: LFP429 (Ref.Only). Model: TIGUAN. FUEL FEED UNIT. Product Type: FUEL FEED UNIT. Date Range: 2007-2009. DIESEL FUEL PUMP INJECTORS RAIL PIPES. All parts are stamped and removal of the marks will invalidate your warranty. GENUINE VW COMMON RAIL SYSTEM. Common Rail sensors pipes. CC GT 2.0 TDI. FOR VW TIGUAN 5N. This is an original quality part manufactured by Bosch. Part specifications. AUDI A3 (8P1) BYT, BZB, CDAA 1.8 TFSI 1798 118 160 2006.11 - 2012.08. AUDI A3 (8P1) CDAA 1.8 TFSI quattro 1798 118 160 2008.07 - 2012.08. AUDI A3 (8P1) AXX, BWA, CAWB, CCZA 2.0 TFSI 1984 147 200 2004.09 - 2012.08. FOR VW TIGUAN BW. This is an original quality part manufactured by Bosch. Part specifications. FOR VW TIGUAN AD. This is an original quality part manufactured by Bosch. Part specifications. TO FIT: TIGUAN MK1 5N DIESEL MODELS FROM 2008 - 2011. ONLY SUITABLE FOR PRE-FACELIFT 2.0 TDI DIESEL MODELS FROM 2008 - 2011 . THIS IS THE PUMP & SENDER UNIT LOCATED IN THE RIGHT SIDE OF THE FUEL TANK. Multiple choices exist for:VW TIGUAN 1.6 High Pressure Pump. FOR VW TIGUAN AD. Fuel Type:Diesel. This is an original quality part manufactured by Bosch. PART CHOICE ALERT. Multiple choices exist for:VW TIGUAN 1.6 High Pressure Pump. FOR VW TIGUAN AD. Fuel Type:Diesel. This is an original quality part manufactured by Bosch. PART CHOICE ALERT. Part specifications. Part Numbers 04L130755E 0445010538. 2016 VOLKSWAGEN TIGUAN Injector Pump (High Pressure). This item has been removed from a: 2016 VOLKSWAGEN TIGUAN. Model: TIGUAN. Year: 2016. Make: VOLKSWAGEN. Fuel type: Diesel. 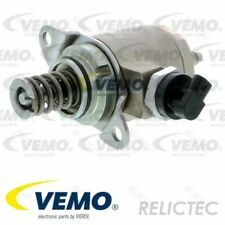 VW 03L130755, 03L130755A, 03L130851AX, 03L130851X. Fuel Type Diesel. Engine Code: CBAA; Model year from: 07/2008; Model year to: 05/2010; Fuel Mixture Formation: Common Rail (CR). Engine Code: CBBB; Model year from: 09/2008; Model year to: 05/2010; Fuel Mixture Formation: Common Rail (CR). 2012 VOLKSWAGEN TIGUAN. This has been taken from a 2012 TIGUAN but may suit other models. Model: TIGUAN Door Plan: 5 Door. Year: 2012 Fuel Type: Diesel. Make: VOLKSWAGEN Transmission: 6 Speed Manual. AUDI A1 (8X1, 8XK) 1.4 TFSI Hatchback Petrol 11/2014 on FWD 16 125 92. ; Fuel Mixture Formation: Petrol Injection. AUDI A1 (8X1, 8XK) 1.4 TSI Hatchback Petrol 11/2014 on FWD 16 150 110. Fuel Mixture Formation: Petrol Injection. 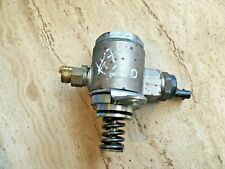 2010 MK1 Volkswagen Tiguan 5N FUEL PUMP SENDER Part Number - 5N0919088E. Please make sure part is correct before purchasing. We try to describe our parts as honestly as we can, however please also see our images in case we have missed anything. Any questions please ask. International buyers please contact us for price and availability of postage to your location. Removed from below vehicle -. AUDI Q3 8U VW TIGUAN 5N 2.0 TDI. REMOVED FROM AUDI Q3 8U SE 2015 2.0 TDI CUVC QUATTRO MANUAL GEARBOX QCR IN WHITE LB9A. FUEL PUMP IN TANK. IF THERE IS A PART YOU ARE LOOKING FOR AND YOU CAN NOT FIND IT. VW 03L130755A. AUDI A3 (8P1) 2.0 TDI Hatchback Diesel 05/2003 08/2012 FWD 16 136 100. AUDI A3 (8P1) 2.0 TDI Hatchback Diesel 03/2006 08/2012 FWD 16 170 125. AUDI A3 (8P1) 2.0 TDI 16V Hatchback Diesel 05/2003 08/2012 FWD 16 140 103. This is an original quality part manufactured by Pierburg. FOR VW TIGUAN 5N. Vehicle compatibility. 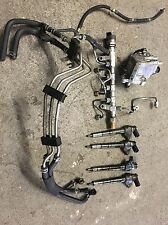 2010 VOLKSWAGEN TIGUAN Fuel Sending Unit (Only). This item has been removed from a: 2010 VOLKSWAGEN TIGUAN. Model: TIGUAN. Make: VOLKSWAGEN. Fuel type: Diesel. Part Type: Fuel Sending Unit (Only). Transmission: 6 Speed. VW 03L130755AC, 03L130755AE. Engine Code: CGLC; Fuel Mixture Formation: Common Rail (CR). Fuel Type Diesel. Engine Code: CJCA; Engine Code: CMFA; Model year from: 11/2011; Model year to: 07/2013; Fuel Mixture Formation: Common Rail (CR). 2008 Volkswagen Tiguan 2.0 diesel. This has been taken from a 2008 TIGUAN but may suit other models. Model: TIGUAN Door Plan: 5 Door. Year: 2008 Fuel Type: Diesel. Make: VOLKSWAGEN Transmission: 6 Speed. HITACHI HFS034A31L. HITACHI HFS03431M. HITACHI HFS03431L. HITACHI HFS03431K. HITACHI HFS03431HC. HITACHI HFS03431H. HITACHI HFS03431G. HITACHI HFS03431FC. This is an original quality part manufactured by Pierburg. FOR VW TIGUAN AD. Vehicle compatibility. Part specifications. VW PASSAT Estate (3G5) 2.0 TDI Estate Diesel 11/2014 on FWD 16 150 110. VW PASSAT Estate (3G5) 2.0 TDI 4motion Estate Diesel 11/2014 on AWD 16 190 140. VW SHARAN (7N1, 7N2) 2.0 TDI MPV Diesel 05/2015 on FWD 16 150 110. VW 03L130755A. Engine Code: CBAA; Model year from: 07/2008; Model year to: 05/2010; Fuel Mixture Formation: Common Rail (CR). Fuel Type Diesel. Engine Code: CBBB; Model year from: 09/2008; Model year to: 05/2010; Fuel Mixture Formation: Common Rail (CR). 0445010812 03N130755A. New OEM Genuine Fuel Injection Pump BOSCH.